Nothing much has changed in Serendra Piazza over the past 6 months. 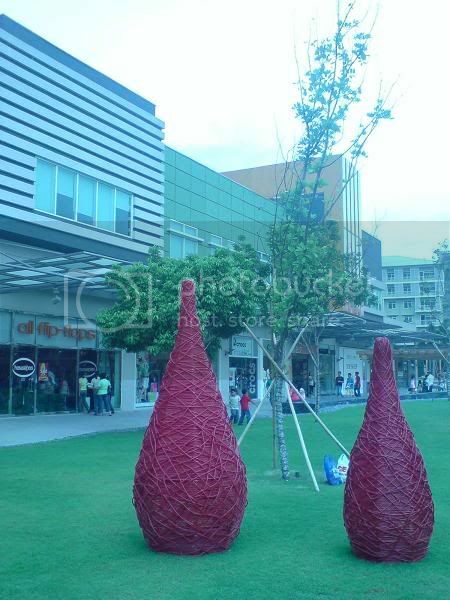 For our non-Filipino readers, Serendra Piazza is an urban residential ecosystem. We visited Serendra to check out any development that might have occurred there being our favorite hang out place during Christmastime. The shops on the second floor are drab and it still is until this day. The reason may be that the residential units aren't handed over to their rightful owners yet or it's just plain bad Feng Shui. Either way, they must do something about it because we saw one furniture shop that just closed shop. 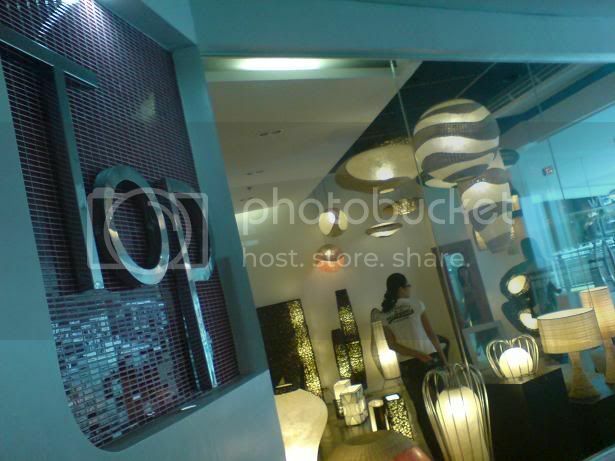 There's a shop called Top with quite interesting lamps. It will be such a waste if they close shop too. 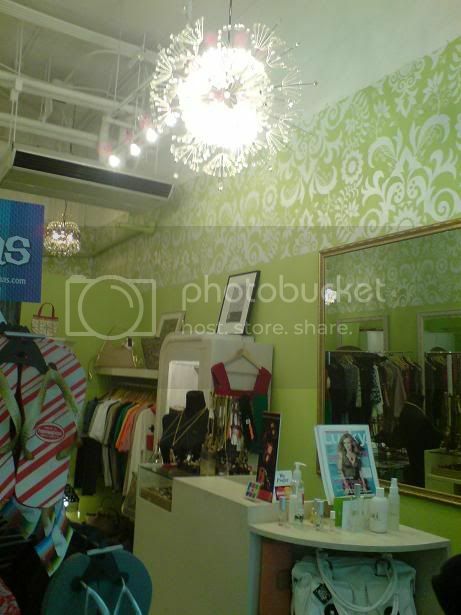 A dress shop named Souk caught our attention with its interesting wallpaper and lighting installation. The problem with their location is it's claustrophobic which is the exact opposite of its next door neighbor, Bonifacio High Street, generous of breathing space. We really think the atmosphere has got lots to do with one person's shopping impulse. Looking forward to our next visit and we hope we see more improvements!